As a pet owner you want your pets to receive the best care and that starts with choosing your veterinarian. Choosing one is one of the most important decisions you will make as a pet owner. At MapleShade Animal Hospital, we want you to feel confident your pet is receiving the best care possible. The staff knows that great care begins with committing the time to get to know you and your pet, as we want to build a relationship that will last for many years. MapleShade Animal Hospital has been serving the Woodbridge area of Northern Virginia for over 16 years. 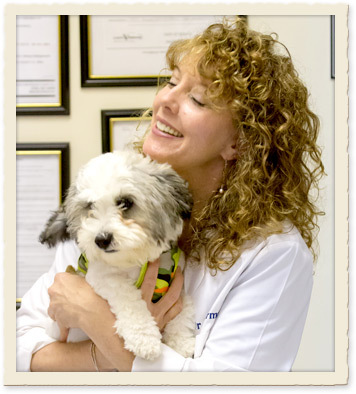 Dr. Christine M. Learman and staff have been committed to providing your pet with low-stress, holistic and preventative veterinary medicine that reflects the highest standard of care. We have incorporated an atmosphere that is less clinical and more like being at home with our homelike decor and furnishings. We want your pets to feel as comfortable here as they would at home! Your pet's long-term good health begins with regular pet wellness exams. Here at Mapleshade we include comprehensive nose-to-tail examinations, individualized vaccination plans and preventative treatments. Identifying issues before they become serious is the key to keeping your pet healthy and keeping the lifetime cost of care as low as possible. If your special companion falls ill or is injured, we are here to provide you with the highest standard and compassionate care for your pet. We will achieve this through our diagnostic capabilities, including our in-house laboratory, radiology, and basic ultrasound. At MapleShade we will work with you and your pet to provide an accurate diagnosis and treatment recommendation to help minimize your pet's discomfort and your worry. If you are unfamiliar with the holistic approach to medicine, it simply means that we will take our time to look at your pet in a "whole" view. We offer both conventional and nutritional counseling. This consists of acupuncture, laser therapy, natural supplements, and nutritional counseling. 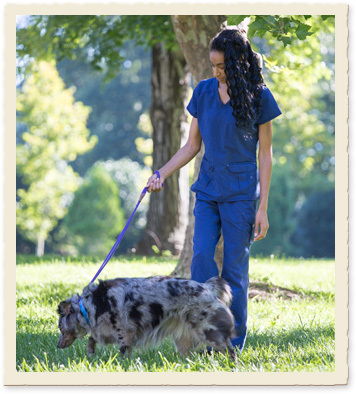 Our veterinarians not only examine and treat the body - we care for your "whole" pet. In a holistic view we consider all the variables that could influence your pet's physical health and well-being. MapleShade Animal Hospital has earned the honor of being among the 16% of animal care facilities in the nation accredited by the American Animal Hospital Association (AAHA). 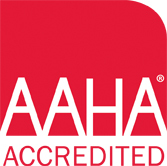 AAHA is the world's leading association of companion animal practitioners. To achieve this AAHA distinction, our hospital has passed comprehensive inspections of our veterinary practice, management, facilities, protocols and medical equipment. MapleShade Animal Hospital has worked hard to earn the prestigious recognition as a Gold Standard Feline-Friendly Practice by the American Society of Feline Practitioners. Our facility, as with all Gold Standard hospitals, provides a lower-stress environment and opportunity to elevate the care of your cat. MapleShade provides special feline only accommodations, such as a cat-only examination room and boarding facility. 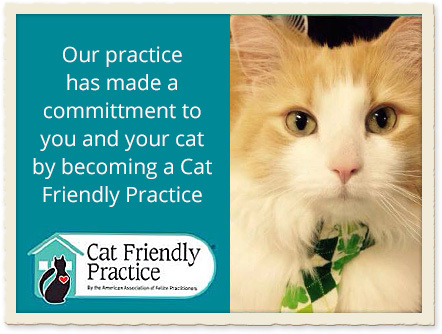 Our staff has also undergone special training to provide safe and stress-free care for your feline family members. 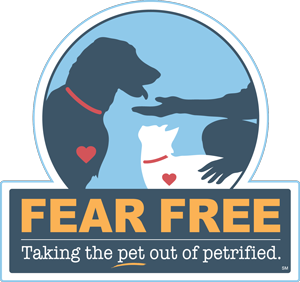 In 2016, MapleShade Animal Hospital earned its Fear Free Certification, a distinction that honors the hospital's commitment to providing an anxiety-free environment. We are committed to the well-being of your beloved pet, and have made the necessary steps needed to create a welcoming atmosphere for each of your veterinary appointments. As a result, the veterinarians at MapleShade Animal Hospital are able to provide high-quality medicine without fear, anxiety and stress by making each appointment safer for your pet, you, and the veterinary health care team. .
MapleShade Animal Hospital is proud to give back to the community that has trusted us to care for their pets since 1999. We volunteer our time and use of our facility each year for a feral cat spay/neuter clinic; serve as a donation drop-off location for items to be dispersed to pets owned by the homeless in our local area; and sponsor many local high school sports teams. We are also a proud sponsor of the Glow Dog walk, which encourages exercise while strengthening the bond between pet and owner. We are committed to working with Save A Dog, Save A Cat (SADSAC), Tree of Life, Akita Rescue, Boston Terrier Rescue, German Shorthair Rescue, Great Dane Rescue and Springer Spaniel Rescue. Mon – Sat: 6:30 a.m. – 8 p.m.
Sun: 10:00 a.m. – 8 p.m.
MapleShade Animal Hospital accepts cash, American Express, Visa, MasterCard, Discover and Care Credit. A 10% discount is given to all active military clients. Payment is due upon completion of services. No personal checks. We invite you to browse our website, review the Woodbridge veterinary services we offer and see why they are so important to your pet. You can also learn more about our professional team by reading our veterinarians' and staff bios. Call to schedule an appointment today at (703) 670-7668 and find out why MapleShade Animal Hospital is where tails wag, cats purr and owners smile.